Home / Liquid Handler / Tecan / Evo / Tecan Freedom EVO Version 2 150 4 Tip Automated Liquid Handling Robot. Certified Refurbished. 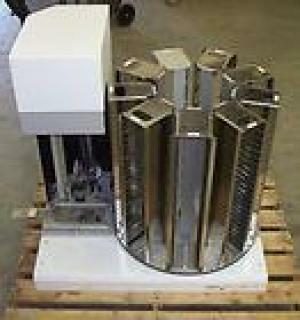 View cart “Tecan MiniPrep 60 1 Tip Automated Sample Processor Liquid Handler Pipetting Robot. Certified Refurbished.” has been added to your cart. Tecan Freedom EVO Version 2 150 4 Tip Automated Liquid Handling Robot. Certified Refurbished. 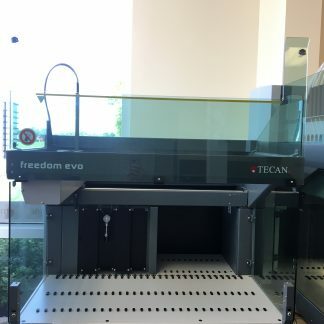 Tecan Freedom EVO Version 2 150 4 Tip Liquid Handling Robot. Includes: Free Shipping and Delivery (domestic US), Installation, Set-up, PC, Flatscreen,and Gemini for Evo software. QA/QC Testing Documentation. Remfg. Certificate included. Leadtime: Up to 20 business days. 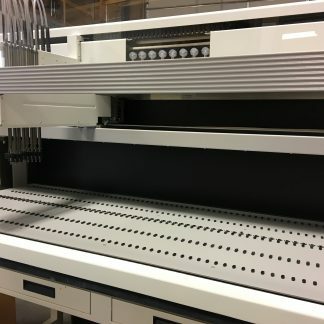 Our core liquid handling and robotics workstation for small, busy laboratories or medium to high throughput research and diagnostic laboratories. The larger footprint significantly increases the integration area for devices, enabling a broad range of automated processes. Applications: Elisa, R&D, Biotech, Research, Forensics Laboratories. 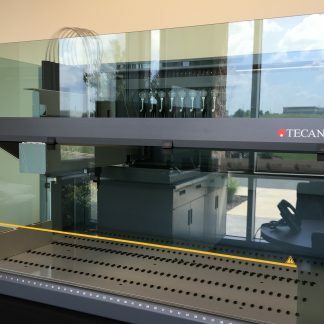 TECAN Freedom Genesis 200 8 Tip Liquid Handling Workstation. Certified Refurbished. Warranty. Tecan Freedom Genesis 200 8 Tip Liquid Handling Workstation. Certified Refurbished. Disposable Tip Unit (Fixed Tip unit also available) Single Liha Arm 1ml Syringes (Other syringe sizes available) Includes: FREE Shipping and Delivery (Domestic US), Installation, Set-up, PC, Flatscreen, Keyboard, Mouse, UPS, and Gemini Software. QA/QC Testing Documentation. Remfg. Certificate included. Warranty: 3 Month Warranty Leadtime: Up to 20 business days. Customizable & Additional Upgrades Available: PosID, Roma, Pick and Place Arm, Fast Wash, etc. Please contact us for more information! 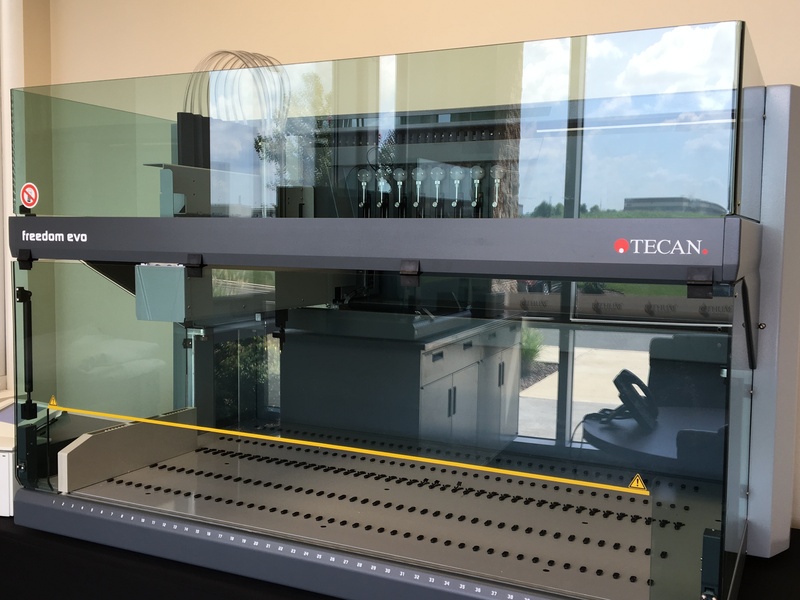 Tecan Genesis RSP 150 8 Tip Liquid Handler, with Liquid Handling Arm and ROMA. Warranty. Tecan CAROUSEL STACKER HS Sample Management Stacker for Genesis and Evo. Plate Storage. 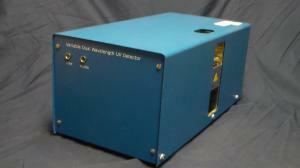 Variable Dual Wavelength UV Detector for HPLC. Used. 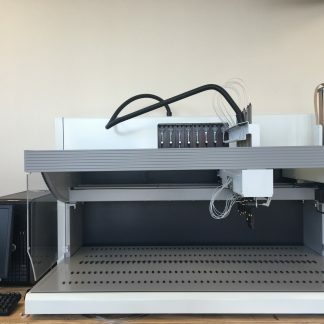 73A000000 Tecan Freedom EVO 75 1 Tip Automated Liquid Handling Pipetting Robot. Certified Refurbished. Warranty!